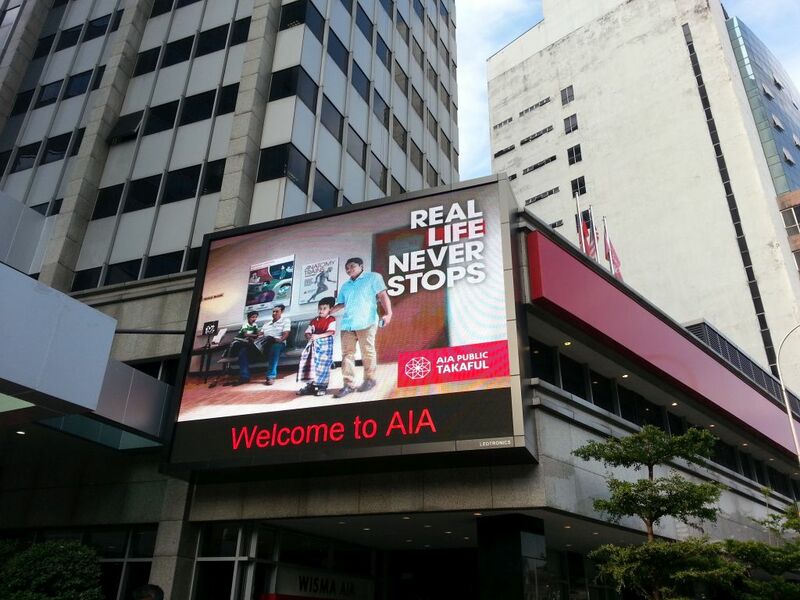 AIA Bhd. 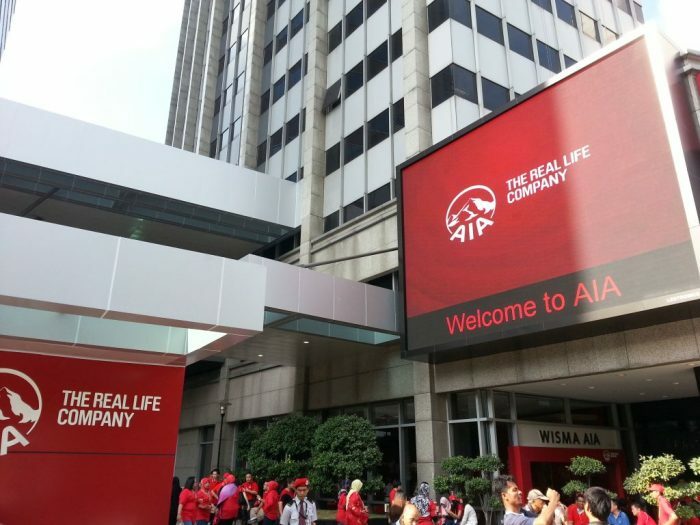 is a member of the AIA Group, a leading life insurance organisation in Asia with a unique heritage of serving customers across the world’s most dynamic region for 90 years. AIA Bhd. 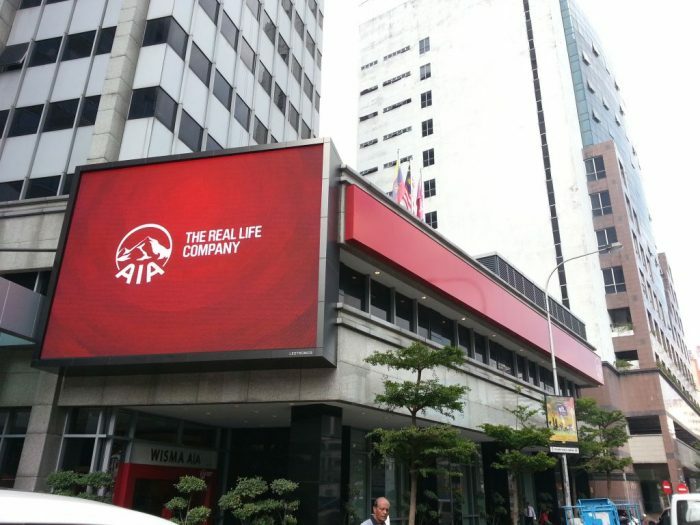 began operations in Kuala Lumpur, Malaysia, in 1948 and with more than 60 years of local market presence, becoming one of the country’s largest life insurers. 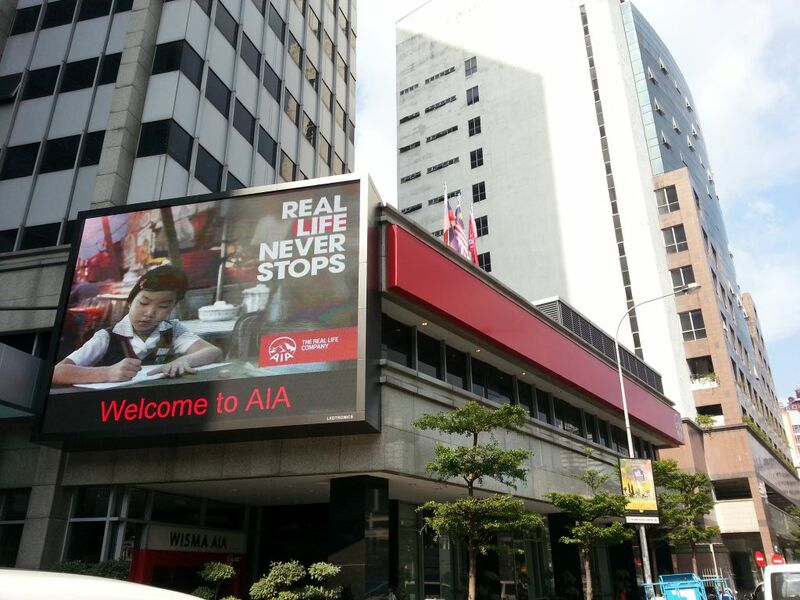 AIA Bhd. 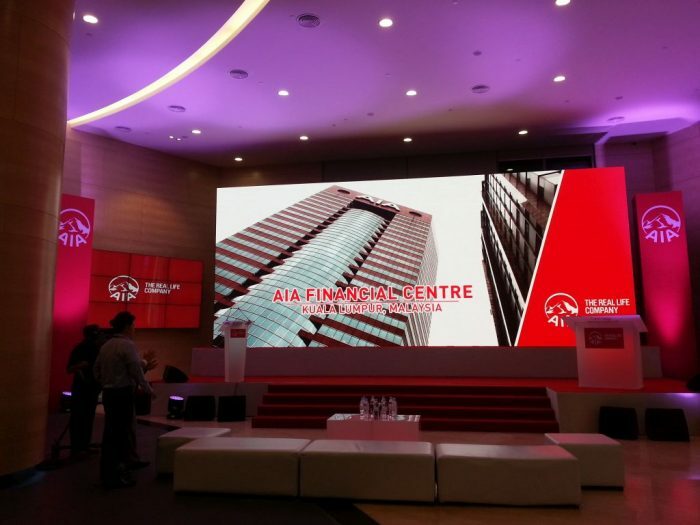 has spent RM36 million to refurbish its financial centre in Kuala Lumpur that also saw the streamlining of its frontline services under a new 5,000-sq ft customer service centre. 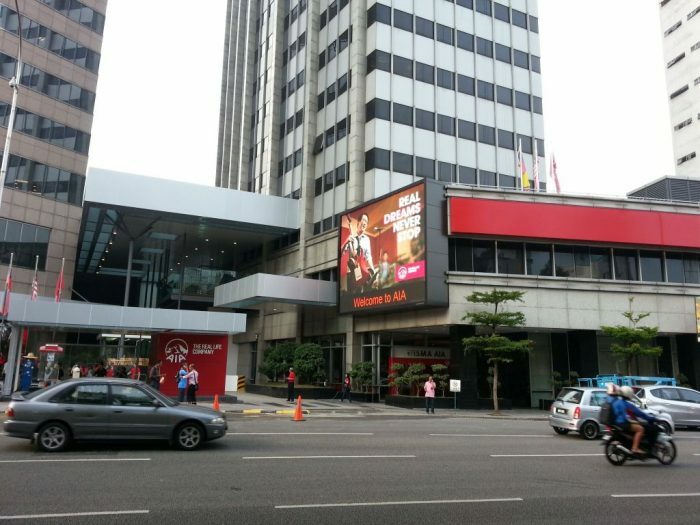 The refurbishment also saw the restacking of its head office operations from three buildings to two. 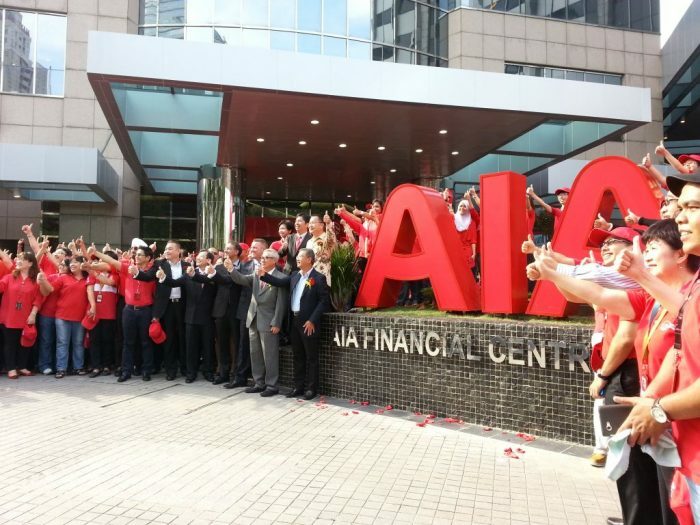 The opening of the new headquarters reflect the group’s commitment to the Malaysian market as being one of the AIA’s key markets, as well as to the customers, employees, partners and community. 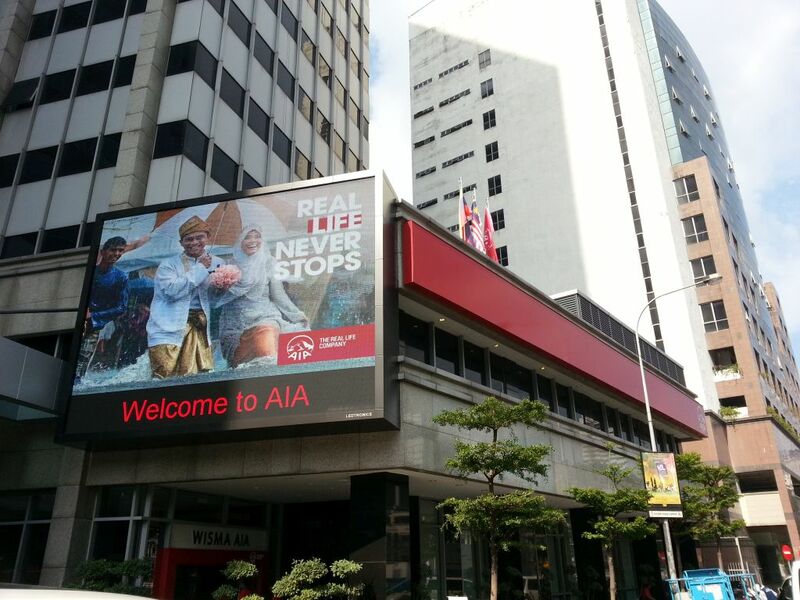 The renovation project included linking Menara AIA and Wisma AIA via a 30ft urban canopy, which connects the two buildings and serves as an outdoor meeting terrace. 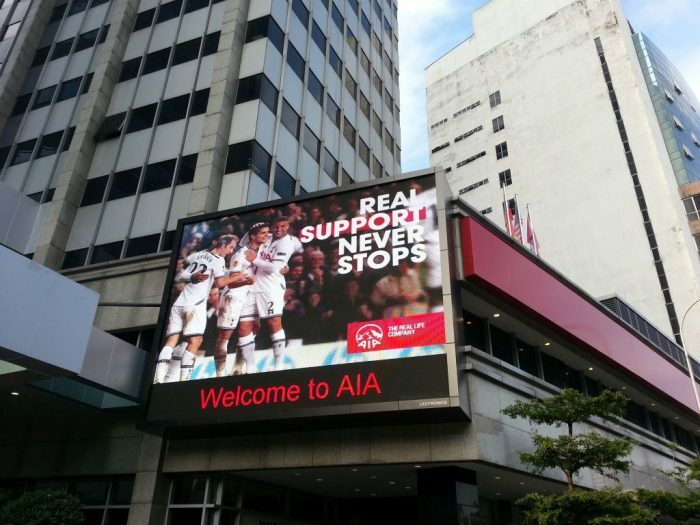 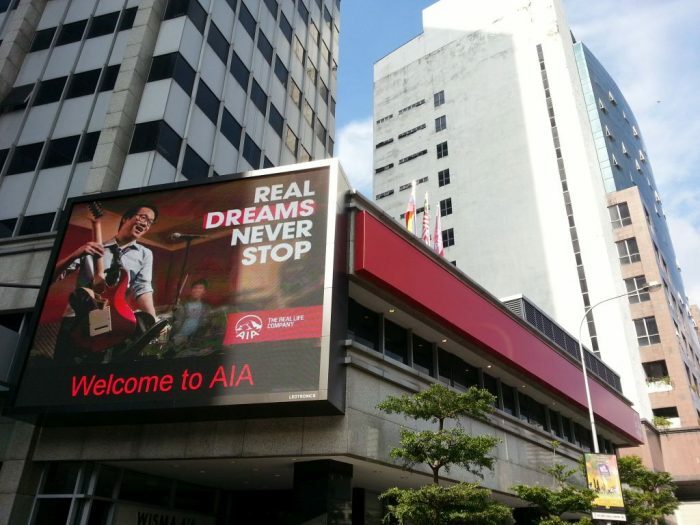 LEDtronics was chosen as the official LED digital display partner for AIA Bhd. as part of their transformation journey. The LED digital billboard comprised of total display area of 50.33 square meter, and the installation was successfully completed within a short time period of 40 days. 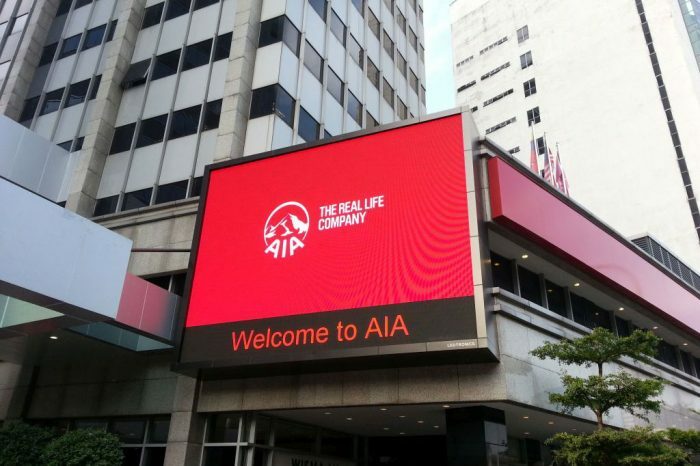 LEDtronics also installed its first digital video wall, located at the grand entrance at AIA Financial Centre, Jalan Ampang. Utilizing Indoor HP 47″LED Video Wall with 3 x 3 configuration, these impressive video walls are capable in displaying real-time, dynamic content. 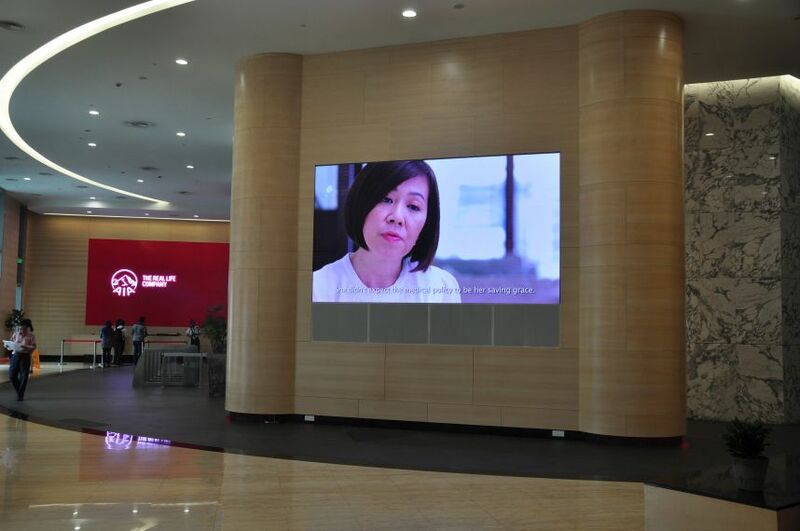 The video walls also produce images with Full HD picture quality, which becomes even more critical when producing larger-than-life images. 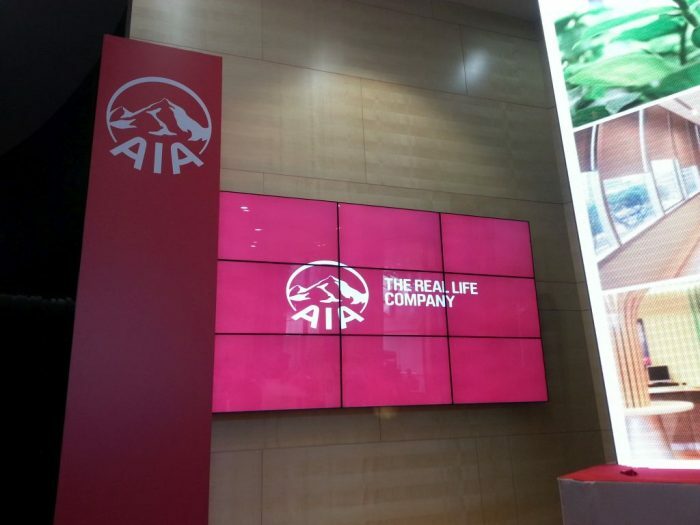 Installations for both displays were successfully completed in June 2014. 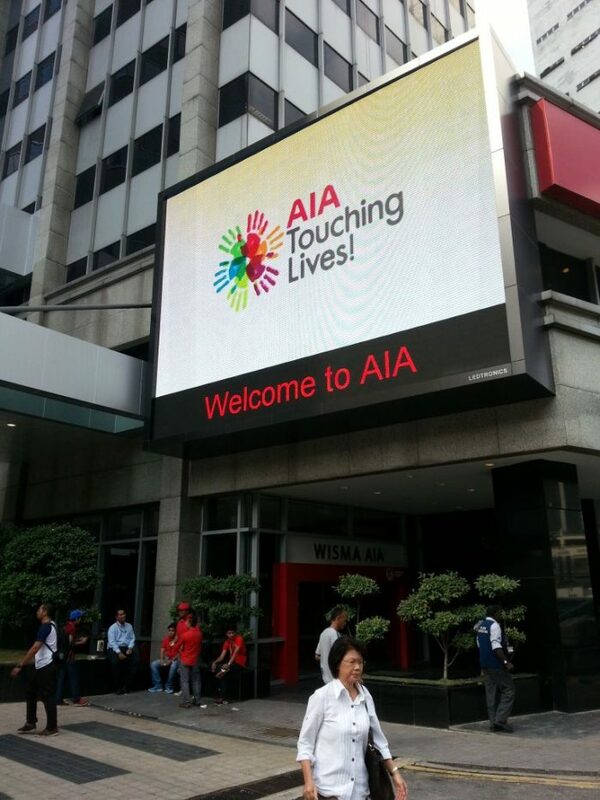 LEDtronics was awarded another indoor LED display with 4mm pixel pitch of 9.44 square meter, located at the main lobby area of Menara AIA. 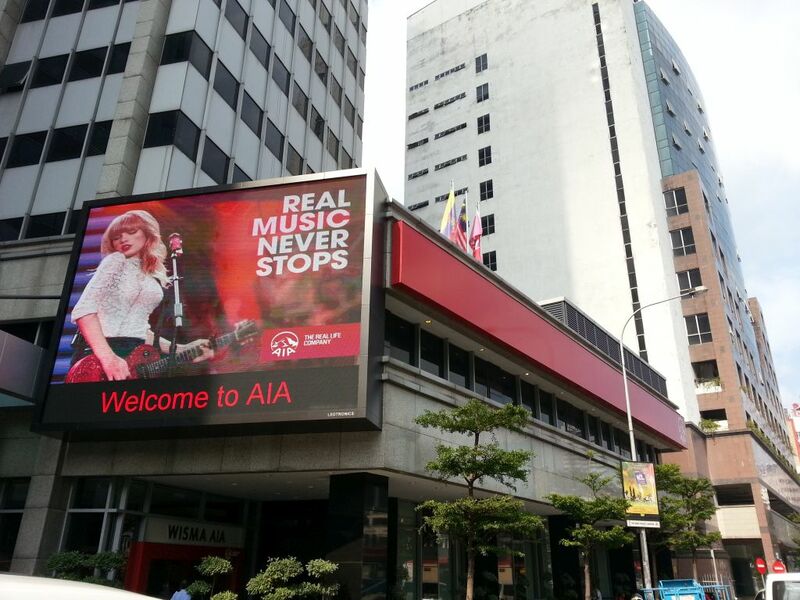 The installation was successfully completed in May 2015.